One wouldn’t expect an 18 year old debutant to have much of a fashion sense. Then again, Actor Joseph Vijay Chandrasekhar wasn’t ever your typical callow youth. 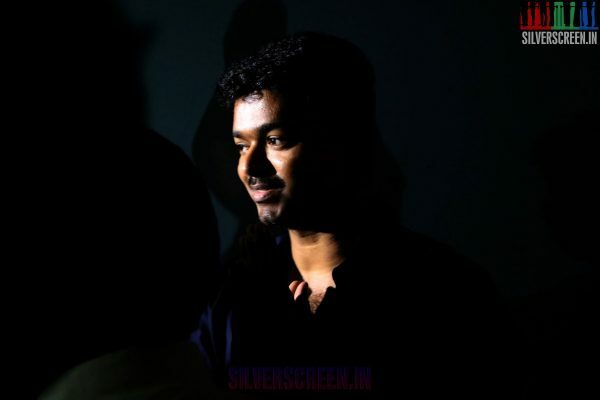 By the time he debuted in Naalaya Theerpu as the hero, Vijay had over ten years of acting experience as a child star. So when he finally debuted, he did so with the assurance of an industry veteran. Acting skills aside, he was also a bit of a fashion maverick. Two belts, long skinny jeans AND black wayfarers in one epic poster. With that black tanktop and casually draped shirt, he looks like the perfect example of a star who wants you to know that he’s arrived…in style. For a few films after Naalaiya Theerpu, things went a little awry. Until his red-coat performance in Poove Unakkaga. This lovely little tale about helping the love of your life get the love of her life won many hearts. Its moderate success had more to do with Vijay’s gentlemanly performance in the movie, but we think his one-of-a-kind all red suit helped things along a bit as well. In the mid nineties, Vijay went all boy next door on us. Crisp polo neck T- shirts, tight fitting pants and some on-trend(then,not now) sneakers were his outfits of choice for many of the movies in this time period. Sometimes, he wore those rimless glasses and sometimes he didn’t. Either way, we know that he wore them before Harry Potter made them cool. Fast forward to SJ Surya’s Kushi, and we see a slightly risque Vijay. 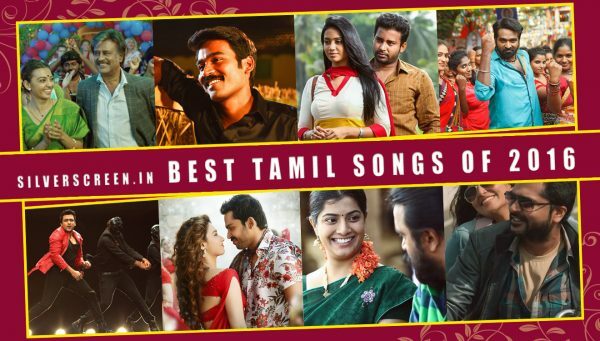 He stares at Jyothika’s belly, has a hot song with Mumtaz and does literally everything to break away from his ‘good boy’ image. Which explains the all leather biker guy look he sports here. And the matrix glasses. But of course. Priyamaanavale was set in the year 2000 – a really dark period for Chennai fashion. As the US return rich kid Vijay, Actor Vijay wore basketball jerseys, baggy sweatshirts pre-marriage and switched over to loosely cut suits post marriage. When he learns he’s becoming a dad though, his style swiftly changes. Some baby slime resistant shiny suits and shirts become part of the wardrobe. Simran gets stiffed though. As the Tamil girl in the movie, she is stuck with Co-optex sarees which swamp her tall frame. 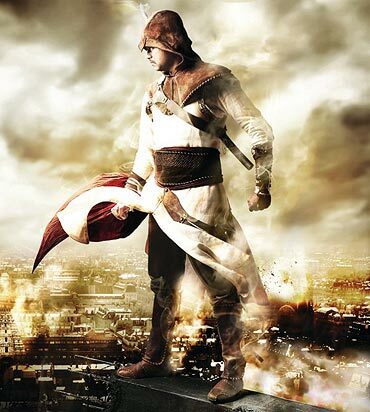 The action movie Bagavathi saw Actor Vijay go for a complete makeover. Gone was the long hair and the loose clothes. In its place, Vijay sported a close cropped haircut a la Russel Crowe in Gladiator and some nice looking Nehru suits. For the tea stall owner, Vijay went a little deglam and wore old shirts and battered pants. The Matrix glasses still find favour here. He wore it for a song in the movie and of course, for the cool getting out of car mafia style scenes. Thamizhan saw a more casual Vijay onscreen. The bulky sweats and the layered shirts were thrown out and sleeveless tees were brought in. On trend cargos also made an appearance – which probably made it easier for him to support his Miss World co-star on his thighs. For the Kabaddi movie Gilli, Vijay wore shorts and other athletic stuff. Comfortable gear to ‘…odi polaama’ with the Saamy actress Trisha. Action isn’t all that the Ilaiyathalapathy can do. He set out to reclaim his romantic hero status with Sachein. 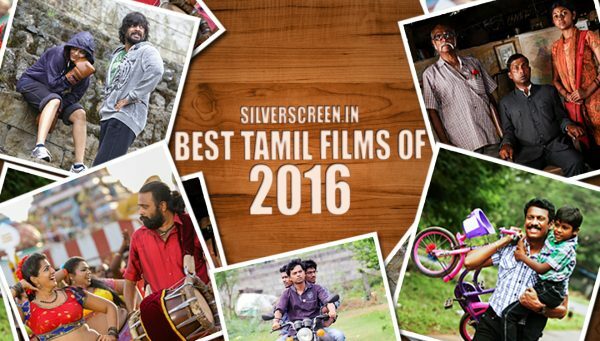 In a first for any Tamil hero of his time, he wore pastel sweaters, faded denim and some really cool knitwear. Hiking boots, a fashionably old bike and Genelia D’Souza completed his look. With his Pokkiri look, Vijay influenced a generation of college going youth. Windswept hair, two shirts at the same time and distressed jeans. That his clothes were talked about more than Asin’s outfits for Pokkiri, indicates just how spot on Vijay was with his rocker chic look. So what if he plays a fisherman in Sura? Being fashionable is not a crime, even if you catch fish for a living. 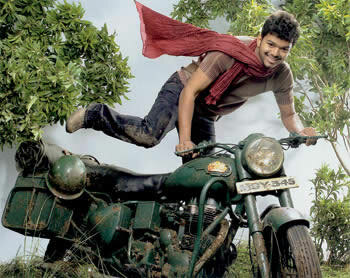 So in this action entertainer, Vijay borrows heavily from the lookbooks of the surfer boy and the hip-hop artist. For your casual spot of fishing, he wears the unbuttoned shirt and shorts, while he chooses some tartan inspired party wear for the song sequences. When he finally becomes a don, it’s all leather though. No one takes you seriously otherwise. That he can play a college grad even after twenty years in the industry may puzzle you. Let us present you with the facts. College boys wear t-shirts, jeans and a sling bag. Here is Vijay wearing all three. Find six differences. We dare you. Everybody loves a man in uniform. Turns out, so do the Tamil fans. The aviator wearing terrorist killing mean machine that is Vijay won many a heart in his dark green dress uniform. Off duty though, the major stuck to smart casuals. Director Vijay and Actor Vijay together in Thalaivaa. We just wrote that for fun. 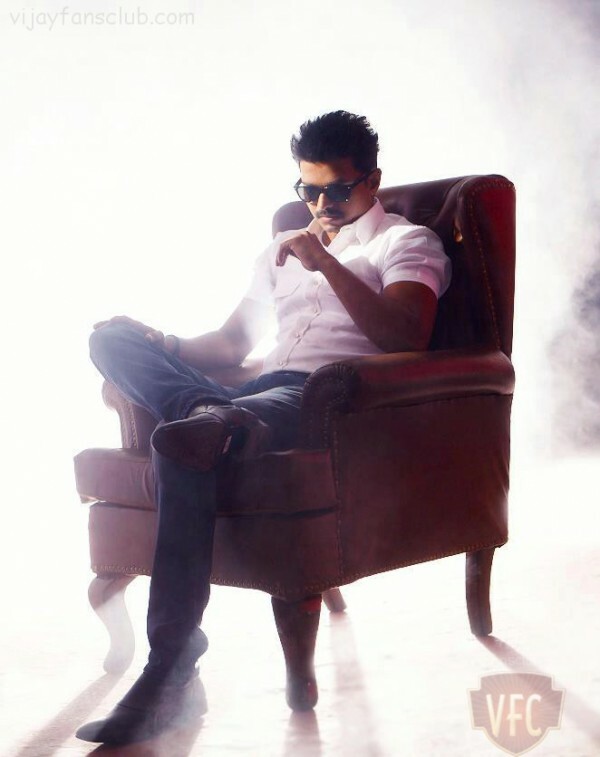 Anyway, this mafioso story has Vijay in tight fitting white shirts and jeans. And ofcourse, some Raybans worn just because. 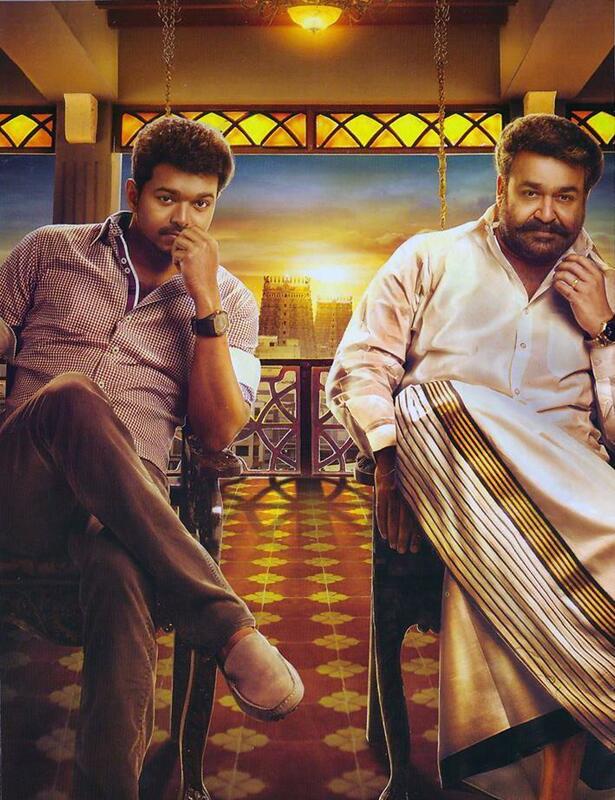 Jilla may be set in Madurai but Vijay looks like the typical Chennai guy in this movie. Neat checked shirts paired with some interesting loafers, and those bang on trend pants. While it’s nothing new, that expression of his always helps. Dont’ know what we’re talking about? Take a closer look at this picture. From what we can see of the first look poster, it looks like a back to sweatshirt scenario for Vijay in Kaththi. Though it’s always fun to see him carry off looks meant for men a good twenty years younger, we have a feeling the movie has more fun in store for us.